To me, his legs just look stubby in minifigure form. His molded head and second (top) torso, however, are incredible. With the exception of some of the set's maroon pieces, I do not think there are that many pieces that are unique to this set. This set has great playability. Kids (and AFOLs) love recreating space and air battles and this set is fantasitc for that. The fact that it is a ship that you can hold and fly around in the air gives it great playability alone. In addition, the sets also includes working landing gear, working cockpit, working equipment hatch behind the cockpit, and the coolest of them all: a LEGO technic shooter underneath the snip! The launcher is without a doubt, the coolest feature included. Overall, this set has great playability (largely due to the fact that it is a vehicle). As far as the build experience, I'm kind of torn. It's obvious this set was aimed at kids (being a cheaper and smaller set) so I wasn't expecting the build to be too complex. And indeed the build was pretty simple. But the simplicity of the build isn't necessarily a bad thing considering the fact that this is a toy and was aimed at play more than display (although it does have good display value). The value for money for this set is not very good. There I said it. I generally consider $0.10 per piece (or better) a good value. This set is not far off at $0.134 but 373 pieces for $50 just doesn't seem like a good deal to me. Now some may make the argument that the minifigures tip the scale. And yes, the minifigures do tip the scale closer back to a good price. 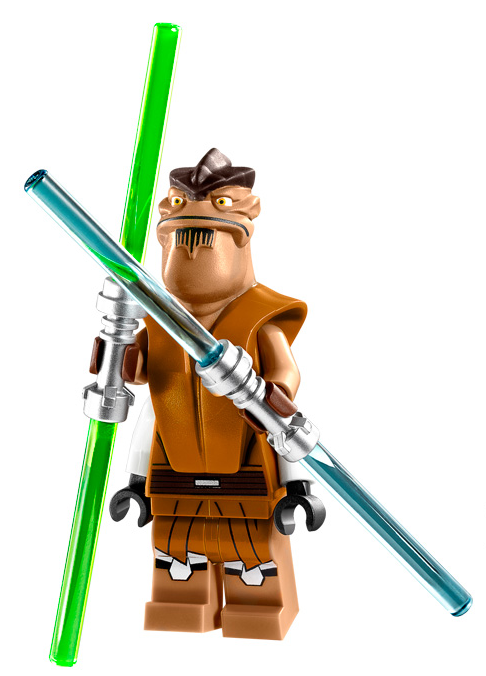 The main factor of this set that balances the fact that the price per piece is not very good it Pong Krell. 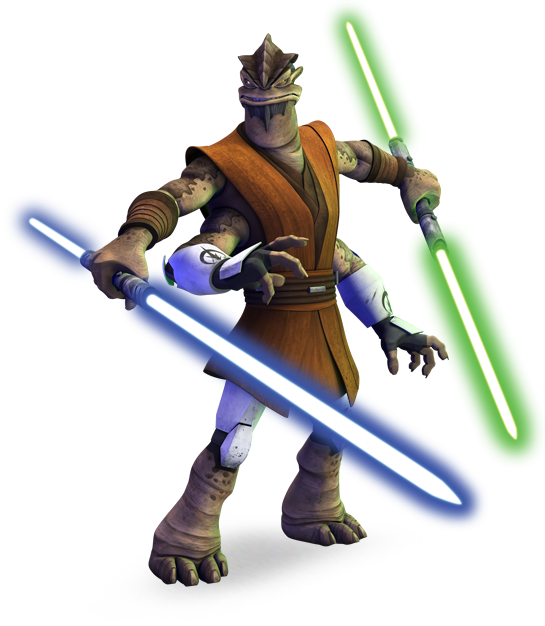 If you look on eBay, Pong Krell is selling for anywhere from $10 to $15. And the 501st pilot is selling for about $7 or $8 on eBay. Just off of those minifigures, you are making back a minimum of $17 from that set. Uh, I digress. Anyway, as a new set off of LEGO Shop at Home, I think the price is a little high. Luckily as it's been noted on the Daily Deals for a while now, you can buy this set off of Amazon for about $38.46 which is a savings of about 23%. So, if you're planning on getting this set, I would recommend getting this set off of Amazon. Because who doesn't like cheap stuff? 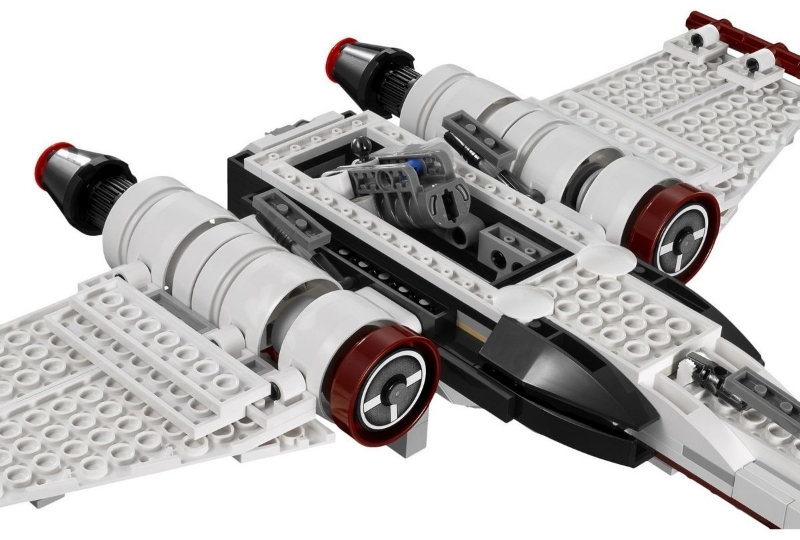 The Star Wars theme is arguably the most popular LEGO theme ever produced, and for good reason. Ever since the theme first came out in 1999, the theme's set have always sold like hotcakes. Sure there have been some mediocre sets out there (I'm looking at yoy microfighters) that not everybody is a fan of. But I think all LEGO collectors, investors, and fans would agree that overall, the Star Wars theme is a pretty solid theme. But why is it such a popular theme? First of all, the fact that there have already been 6 movies made about this theme (and that there are 3 more coming) make sets from this theme pretty iconic. Next, because the theme has many interesting characters that aren't just regular humans: but rather, droids, jedi, "aliens," clones, stormtroopers (ok chill Star Wars fans. I know I'm comparing original trilogy characters with prequel characters but bear with me). Also, the theme has a great line of unique locations and vehicles which have been nicely built out of Lego over the years. The point is, this theme has such a great line of characters, locations, vehicles, etc. that can be easily turned into equally great sets. And Super Hero fans and Hobbit fans can make their arguments that their theme is better because of blah, blah, blah, but I'm sticking by my Star Wars sets because they have consistently sold well. So, with that I mind, I give the theme popularity for this set a perfect 10 (and for good reason in my mind). As I mentioned earlier, this set does have some exclusive minifigures. Pong Krell and the 501st pilot are exclusive to this set and the 501st clone trooper is only in one other set. Also as I mentioned earlier, this set does come with some nice maroon color pieces. As I am new to LEGO collecting ang investing, I am not sure whether or not these pieces are unique but I am happy that some unique-colored maroon pieces were included in this set. So overall, the exclusive minifigures are the main exclusive aspect of this set to get excited about. The packaging is pretty typical LEGO Star Wars: LEGO logo in the top left, important characters in the top right, the main part of the set dead center, the minifigures in the bottom rigt, and the to the middle left: ages, set number, set name, and piece count. It's nothing special really, just a typical Star Wars set box. Although that is nothing to complain about because the Star Wars sets generally have great boxes. Scroll down and look at the graph of how this set has appreciated. The appreciation is slow but it is appreciating. So, what can we learn from this. I think from the V-19 Torrent example, we can take away that the Z-95 Headhunter set will appreciate just as nicely if not nicer. Why? Multiple reasons. First of all, the Z-95 Headhunter has 3 minifigures compared to 1 and all 3 minifigures are exclusive or semi-exclusive. The minifigure you recieve in the V-19 Torrent, Clone Pilot,b is not exclusive as it can be found in many other sets (the old Republic Gunship and the Venator-Class Republic Attack Cruiser are two that come to mind). Now I am well aware of the fact that both of those sets are retired, but you could get the minifigure that came with the V-19 Torrent in other sets. Whereas with the Z-95 Headhunter, 2 of the minifigures are exclusive to the set and the other one can only be found in 1 one other set. In addition, the Z-95 Headhunter is, in my opinion, more recognizable than the V-19 Torrent. So, I believe that the Z-95 Headhunter, when retired, will appreciate very nicely for a $50 set mainly due to the fact that the minifigures are exclusive or sem-exclusive. I myself am a little biased towards Star Wars sets so I think that they all have great display value. However, this one just is not one of those sets that catches everyone's attention. It's not a particularly big set and it is not very tall either. And although it has great minifigures to display, ordinary people typically do not look close enough to truly appreciate the minifigures. But back on topic, the Z-95 Headhunter just doesn't have good display value. The bright white color does pop out a bit but we all know that white bricks will yellow after time. And the maroon and black bricks do not particularly make this set catch someone's eye because they are darker colors. And (even though I've already said this) I was to stress how small this set is. The set is plenty wide and plenty long, but it is just not big or tall enough to catch someone's eyes. However, should someone see this set, a great conversation will ensue just based off of the cool design, iconic look, and awesome minifigures. So, conclusion time. I think this is a great overall set. It comes with come absolutley fantastic minifigures, tons of potential for playability, and a solid investment choice for a set of its size. The main draw to this set for me is of course, the minifigures. I've mentioned the minifigures a lot in this review but I think they're well worth mentioning. Personally, I think it's the minifigures that make this set. The minifigures give the set some exclusivity and they make it a good investment choice. Being a smaller set, I think it was imperative that LEGO include exclusive minifigures to this set. If they would have included less rare minifigures that you can get in other sets, what would be someone's reasoning to buy this set for $50? So my final words for this review. I think this set will be a great set to play with, to build, and to invest in BECAUSE OF the minifigures. I know the price does make some people reconsider. But to those people (and really anyone wanting to buy this set), I say look to Amazon. You can buy this set for about $38 on Amazon which is $12 less than at the LEGO Store. And besides, who doesn't like buying things for cheaper. So, that will do it for this set review. I hoped you found the content of mty second review informative and I hope it will allow you to make better and smarter LEGO purchases.